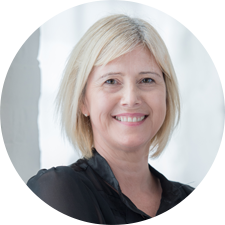 Karen is the co-founder of Disruptive HR, a London-based consultancy that works with leaders and HR professionals to help them make their people practices fit for a disrupted world. She is a director-level HR generalist with 20 years’ of hands-on experience transforming HR teams, and has previously worked at companies including Nokia, Eversheds, and the BBC. A regular keynote speaker and writer on people and the world of work, David focuses on the links between behavioural science and HR/L&D – and on the impact, opportunities and risks of automation and artificial intelligence. His commentary is regularly featured in national media. David is on the top 5 most influential global L&D experts list (Rise). 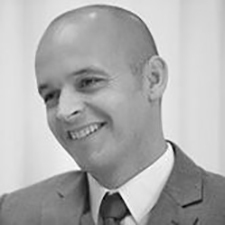 Stuart advises on all aspects of employment law, both contentious and non contentious and has appeared in Tribunal on numerous occasions where he has represented both employees and employers. He is the primary point of contact for a number of household names including Krispy Kreme, Avis, Phase Eight and Diversey. CIPHR’s head of customer success, Rob Oehlers, shares our vision for the future of connected HR and business systems – and the potential benefits for organisations, employees and HR teams. HR has for too long too often been sidelines as a support function – but it’s high time that HR practitioners operated as business leaders. Drawing on her own experience and case studies, Karen Moran, Director at Disruptive HR, will offer guidance on how to shift an organisations’ perceptions of HR professionals in a positive way by embedding HR throughout the organisation. She’ll discuss the business functions you really need to partner with to get ahead, how integrating business tools with HR technology can facilitate this, and why clamouring for a ‘seat at the table’ will get you anywhere but the boardroom. Rob Oehlers, head of customer success, will give an overview of 2018 product enhancements, as well as outlining CIPHR’s development plan for 2019 and beyond. Stuart Lawrenson, partner, and Gemma Robinson, associate solicitor, both at Shoosmiths, will guide you through the employment law landscape, with a particular focus on how Brexit might affect HR. Network with your peers and CIPHR staff; meet our CIPHR Connect partners; and discuss your questions with CIPHR’s system consultants. Please choose one of the following four sessions to attend. You must pre-register for the session of your choice. The dual spectres of automation and artificial intelligence loom large over our thinking about the future of UK workplaces, if media reports are to be believed. Against this context, the brilliant management of people will arguably become even more critical to organisations’ success. In this keynote speech, David D’Souza, membership director at CIPD, will explore the future role of the people professional in the forthcoming era of chatbots, algorithms and machine learning, and the essential attributes and skills they’ll need to make an effective, positive difference to people at work. He’ll touch on subjects ranging from technology and data skills, to supporting change and organisational transformation, the evolving nature of our relationship with employees, how to manage hybrid workforces comprised of staff, contractors and AI, and the need for HR professionals to stop following and start leading. CIPHR’s head of customer success Rob Oehlers will share highlights and a summary of the day. Stuart Lawrenson, partner at Shoosmiths, will guide you through the employment law landscape, with a particular focus on how Brexit might affect HR. Head of customer success Rob Oehlers will explore how the new data protection regulations affect recruitment practices, and how CIPHR iRecruit can help you better comply with the requirements (30 minutes). Debate: if all employees are now consumers, how does this change HR? CIPHR’s content editor Cathryn Newbery will moderate a lively debate on the nature of employee experience; workers’ shifting expectations of their employers; and the role of technology in keeping people happy. Guests include Gethin Nadin, director of employee wellbeing at Benefex; Marcus Thornley, founder of Play Consulting, and Shedeene Soares-Oladipo, head of HR at the World Gold Council (60 minutes). David Godden from engagement analytics firm Thymometrics will explore the challenges of maintaining and evolving organisational culture as you grow, and the metrics that can help you to measure if you’re on the right track (20 minutes). 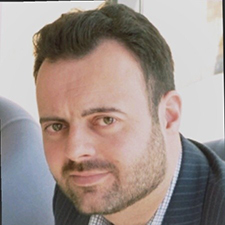 In this practical session hosted by Toby Gilchrist, customer experience manager at Digits, you’ll discover why microlearning – delivered by mobile devices – is the secret to engaging staff with L&D, and how to introduce its principles into your organisation (20 minutes). Averil Hooper, director of internal innovation and smart working at Corporate Travel Management (CTM), shares stories from the recent evolution of her organisation’s L&D strategy (20 minutes). Debate: how can HR become evidence-based? A group of experts will dive deep into the trendy topic of evidence-based HR, exploring everything from what exactly evidence is, to how to find it and use it as a basis of decision-making. Panellists Nick Court, co-founder and CEO at The People Experience Hub, Tricia Howarth, HR director at Latymer Upper School, and Andy Charlwood, professor of HRM at Leeds University, will be guided through this tricky topic by moderator David D’Souza, membership director at the CIPD (60 minutes). The CIPHR customer conference is less than two months away, and it promises to be an unmissable event. Here are five reasons why you need to join us on 7 February in London. We’ve lined up two brilliant keynote speakers: Karen Moran, Director at Disruptive HR; and David D’Souza, membership director at the CIPD. Drawing on her years of experience, Moran will explore and explain how to shift internal perceptions of HR in a positive way by embedding HR throughout the organisation. In the closing keynote, D’Souza will explore the future role of the people professional in the forthcoming era of chatbots, algorithms and machine learning, and the essential attributes and skills they’ll need to make an effective, positive difference to people at work. 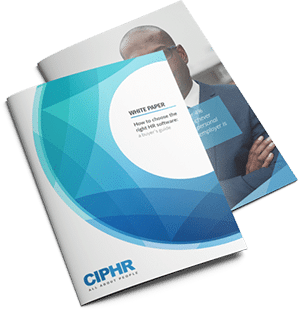 The conference will also give you exclusive insights into our plans for developing CIPHR to meet the needs of your HR teams and wider organisations. With four breakout sessions to choose from in the afternoon – attract, engage, develop, and analyse – there really is a subject to suit every attendee’s specialist interests. Got a query or niggle that you need resolving? Meet with our system consultants and account managers during the breaks to get the answers you need. Our 2019 conference is set to be our largest-ever gathering of CIPHR users – a fantastic opportunity for you to connect with and learn from your HR peers. 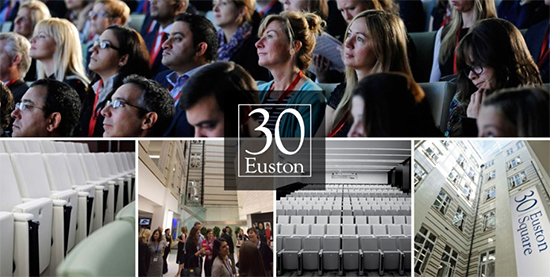 30 Euston Square is an award-winning event venue in central London. The customer conference talks will be hosted in the 300 seat auditorium, with breakout sessions taking place in the venue’s private meeting rooms. The event will be fully catered by Searcy’s in-house catering team.